That's when the smart tachograph is scheduled to enter the market. Yes, in just 6 months, the new tachograph regulations will come into force. Here's what you need to know. Why are the new tachographs being introduced? The European Commission is introducing revised legislation to combat what it sees as a rising tide of tachograph manipulation. To meet the demands of the revised regulations, newer, smarter tachographs are required. Stoneridge has announced the first wave of smart tachographs. There are two major additions that make the new model superior to its predecessor. Firstly, the smart tachograph will have a GNSS (Global Navigation Satellite System) module. This records the vehicle’s location at the start and the end of a journey, and generates updates every three hours. Secondly, road inspection officers will be able to communicate with the smart tachograph remotely, using a secure short range radio device, without stopping the vehicle. A small 'data packet' will contain information on possible offences. This 'data packet' flags up whether or not an infringement has taken place. One result of this is that if no offences are found, drivers may continue their journey uninterrupted – meaning no time is wasted on unnecessary roadside inspections. A third feature is the introduction of new seals, which will have a UIN (unique identification number) allocated by the manufacturer. These will be completely traceable. Not only will the driver or TM be able to trace the company that manufactured the tacho, but the company that installed it, too. What's going to happen to driver cards? The lifespan of the driver card is due to end shortly. There are plans to phase them out and replace them with a new '1C' version, which will record the additional information in accordance with the new laws. The new cards can be used in current digital tachographs. Current driver cards will also be suitable for use in the new smart tachographs, but will only record information under the current 1B regulations. Operators who fit smart tachos to their wagons will also get a new company card. Calibration centres will need to update their tools and systems to ensure they are prepared for the introduction of smart tachographs. Centres must have the means to test the new features, including the GNSS addition, and the DSRC module. After calibration, the new tachos will need revised plaques which will hold more information. Workshop technicians will also need to prepare for the introduction. Firstly, they must obtain a new workshop card in order to be able to fix the new tachographs. They will also need to complete an approved Annex 1C Tachograph Fitter complaint. What about the new regulations? In terms of Drivers' Hours and Working Time Directive, drivers will still have to follow the current rules. 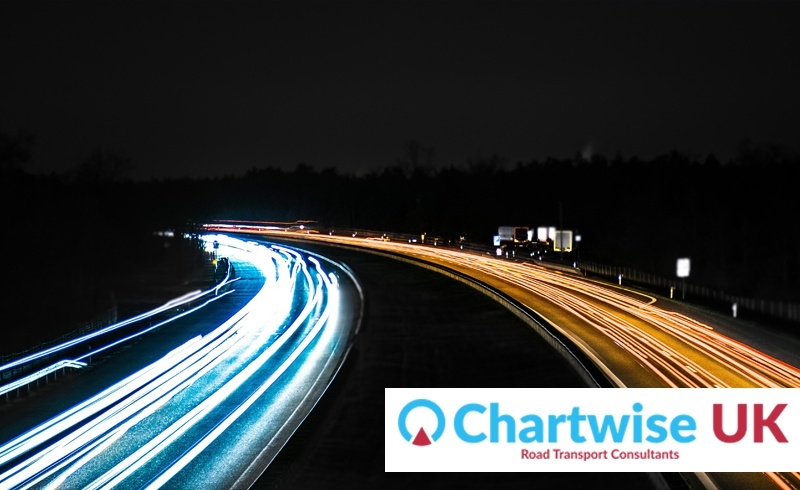 As for the tachograph data itself, it will still need to be downloaded, stored and analysed. As already mentioned, current driver cards can be used in smart tachographs, however they will only store data that's applicable to the new legislation. If you need a replacement card, you will get a new version from June 2019. If you're worried about the data that can be gathered remotely by enforcement agents, rest assured the smart tacho will transmit only a small portion of it, such as vehicle calibration information. Personal details such as addresses will not be included in the 'data packet'. To be able to use the smart tachographs, no training will be required. However, drivers and transport managers are advised to familiarise themselves with the new models. "Any change in legislation can seem daunting, but Stoneridge is ready to help fleets, drivers and workshops through this change, offering a wealth of online training and support information as well as face-to-face training on the new tachograph features for fleets and drivers and fitter training for workshops." Yes, 2019 is set to be a big year for road haulage. The number of changes planned is unprecedented, and with the uncertainties of Brexit looming and the intensified enforcement by the DVSA, drivers and hauliers are advised to get their affairs in order sooner rather than later. The industry's moving fast, and we suspect only the fast will thrive. If you want to keep up with your competitors while handling your compliance with minimal fuss (who doesn't? ), then we've got just the thing for you. Experienced CPC-holder and operator compliance specialist.